Guilio Adriani is a master pizziolo. All of his family is from Napoli (Naples), however Guiliano was born in Rome. He has opened several successful Forcella Pizza Restaurants in New York. He freely discusses his philosophy about pizza. Pizza is a social food he explains. Guilio Adriani, pizza master, discusses his New York Pizzeria Forcella. Guilio also gives his philosophy of pizza. Pizza is a universal food, explains Guiliano. You can search the world over and you will be able to find pizza. He further states that pizza is a nutritionally balanced food. You are able to have protein, starches, as well as helpful fats as part of your pizza. Pizza cuts across all classes as well. You can find a business mn in a suit eating pizza as well as a construction worker. Pizza really brings people together. 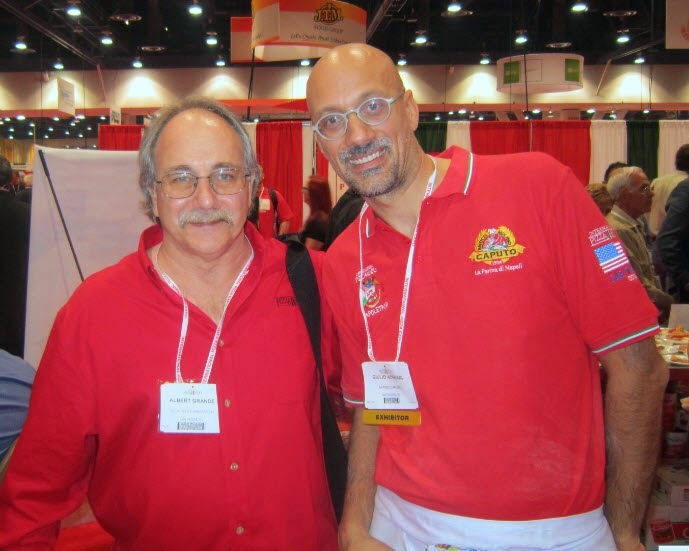 Guilio was at Pizza Expo during our conversation. He had been invited by Antimo Caputo of Caputo Flour to help show the power of this Italian made product. I have used Caputo with good results. It is milled in Italy and is a favorite of many world class pizzaiolo (pizza masters). For more information about the best pizza flour, go to Best Flour at Pizza Therapy.